(to download forms, click the words in PINK in the last paragraph). As a charity we rely on the love, kindness and generosity of the public to help us in many ways, whether it's short-term or long-term fostering or even adopting one of our beloved Frenchies and offering it a fur-ever sofa. We don't place our surrendered Frenchies in kennels, instead we rely on a network of volunteers to open their doors as foster carers to give each dog a safe, loving environment it can call home while it is assessed to see what it really needs from a forever home. This usually takes around 2-4 weeks and gives us a real insight into the true personality of the dog and understand its likes and dislikes. Once the assessment has finished and the dog is ready for adoption we'll post it on our 'Ready for Adoption' page as well as on social media. If you feel that you can provide the dog with it's paw-fect fur-ever home then you'll need to fill in an application form and email it back to us stating why you're the ideal family/couple/home for the dog. We do sometimes decide that it is in the best interests of a particular dog, to be rehomed with it's current foster family. Our primary concern is always whats best for each individual dog. All fosterers and adopters need to have a home check. If you apply to foster, we will be in touch to organise your homecheck. If you apply to adopt, a homecheck will only be needed if you are shortlisted for a dog. 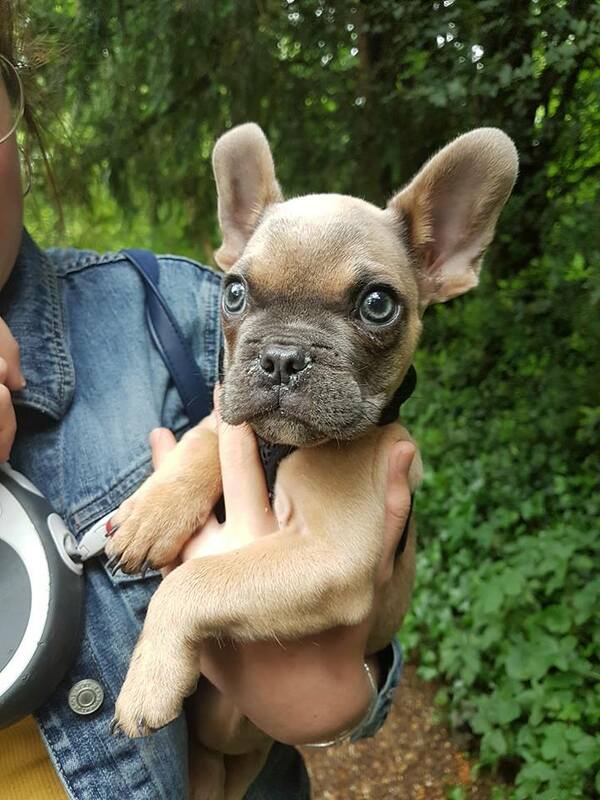 The popularity of French Bulldogs is growing at an alarming rate which means that we're seeing more of them then ever being surrendered to us, to help find them a better home. So, as you can imagine we're always on the lookout for foster families to keep the dog safe and assess its needs until a forever home is found. To apply for just adoption, use this form.